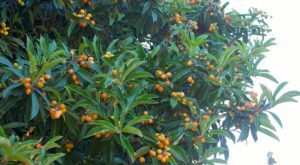 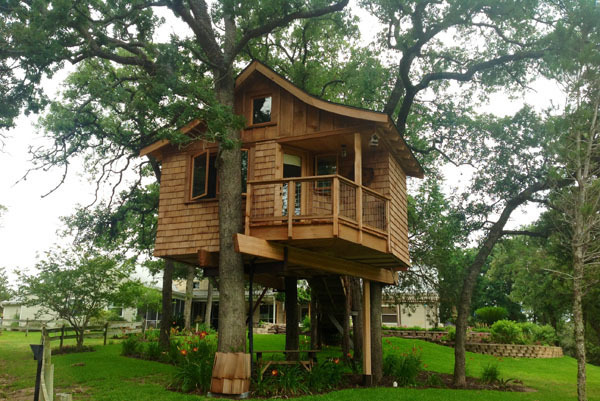 You know you miss the days gone by of holding secret meetings in the cool kid’s treehouse after school, sharing some gummy bears and action figures, and just watching the clouds go by outside. 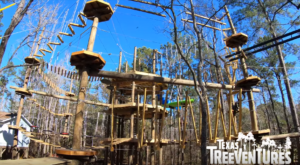 Well, now you can relive some of those memories if you want and create some new ones at these awesome treehouses located right here in Texas! 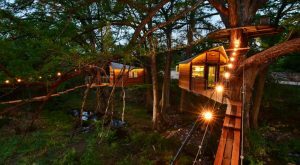 You can choose from six different treehouses to stay at here, which are attached to large hardwood trees located right on the beautiful Guadalupe River. 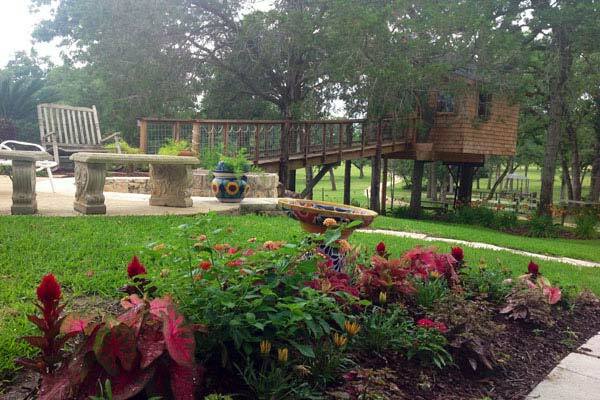 You will find total serenity among the 80 foot cypress trees and calming seasonal creek running through the property. 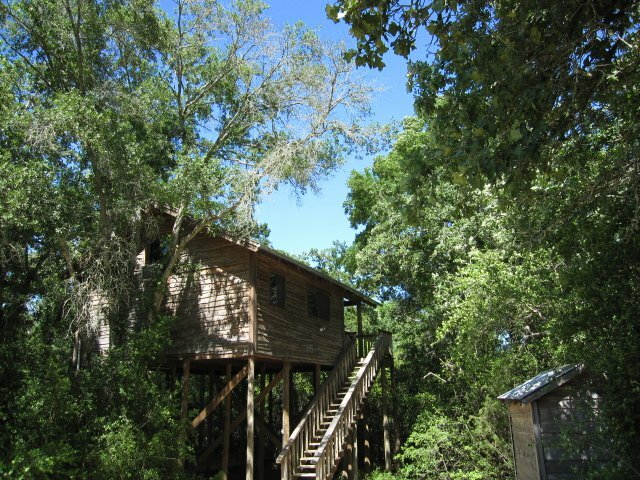 "The Lofthaven" is one of the treehouses at Cypress Valley Canopy Tours, with an ancient cypress tree growing right through the middle. 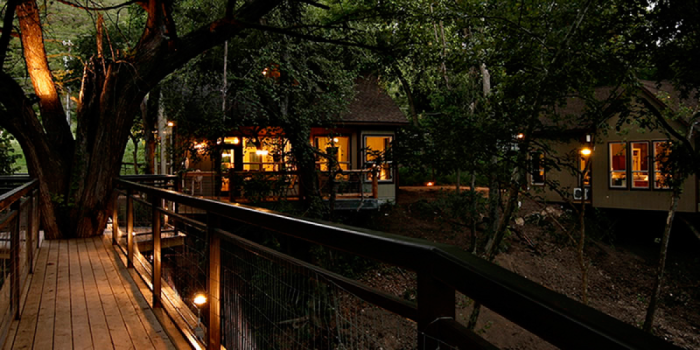 This is more of a cozy treehouse meant for a romantic getaway, as it sleeps two comfortably. 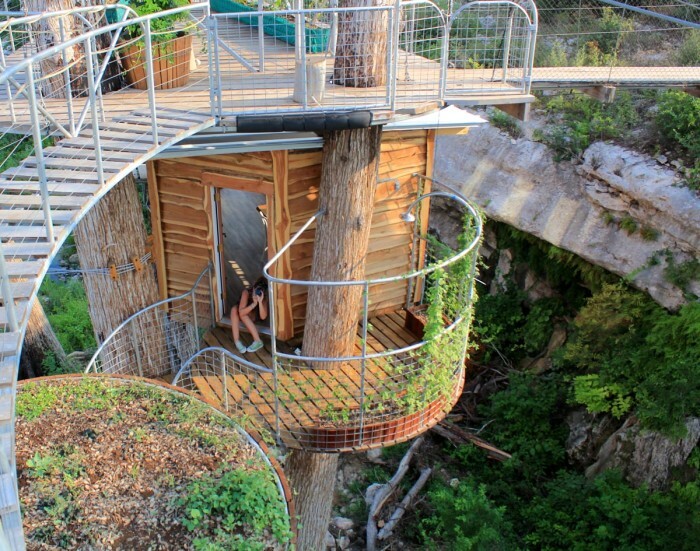 This treetop sanctuary is located right above the peaceful ravine below, and a bridge also connects you to your bathhouse. 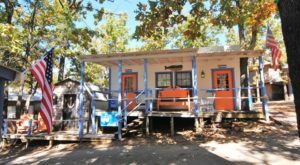 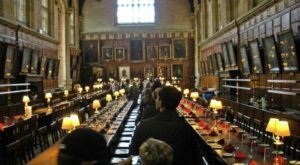 "The Nest" has enough room for the whole family, with two bedrooms, a spacious lounge for family games or some quiet reading, and a dining room for meals. 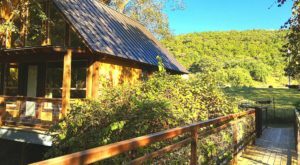 You get the perfect view of the creek next to a small waterfall, and a bridge takes you to a private bathhouse with a bath/shower. 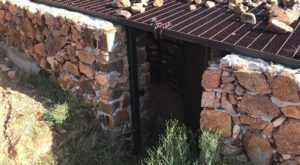 There's even an outside shower to get washed off underneath the beautiful night sky! 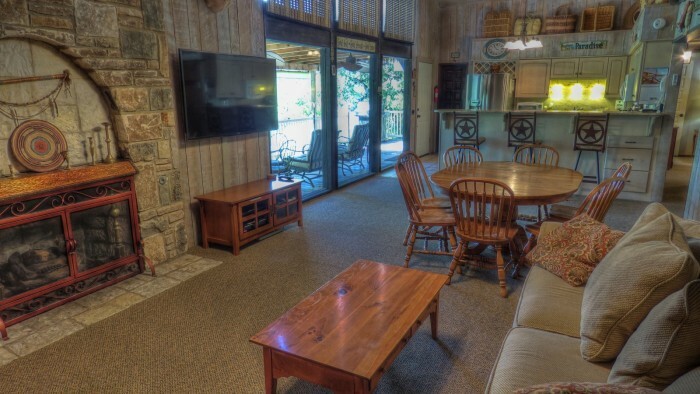 It sleeps up to six, so bring your whole fam here for your next vacation! 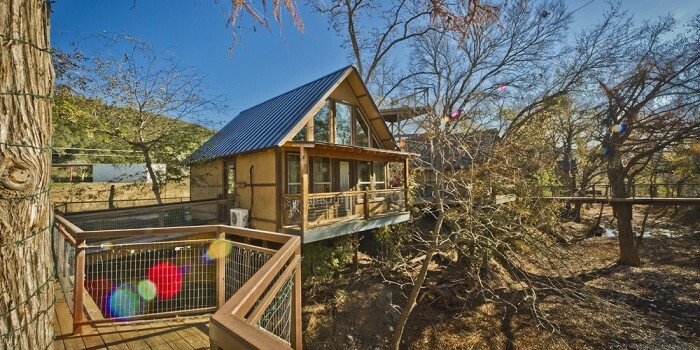 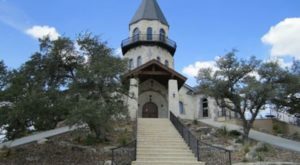 Located high above the Frio River, this 1966 square foot treetop haven comfortably sleeps up to 14 people! 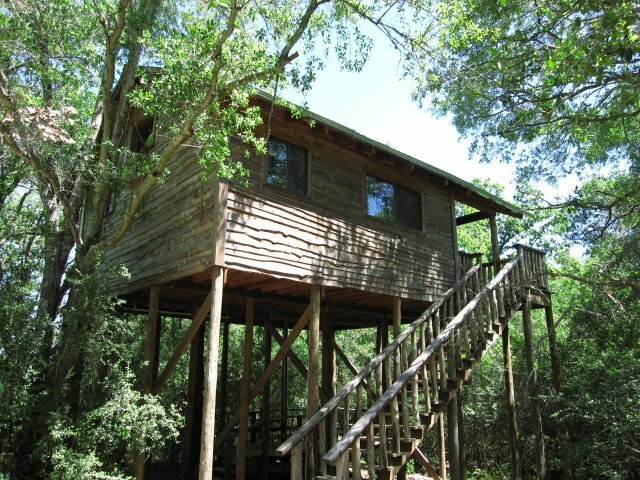 The spacious interior of the tree house. 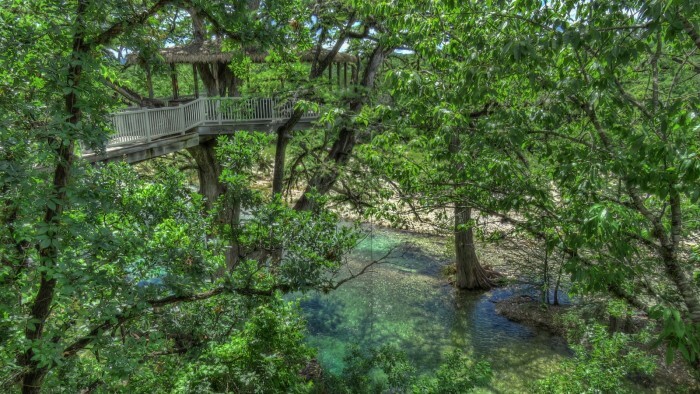 Another stunning view of the treehouse with the crystal clear waters of the Frio below. 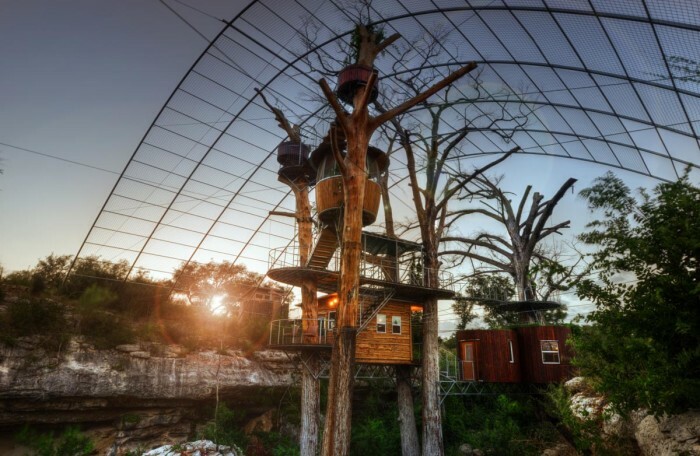 This fully furnished treehouse deep in the forest is a great place to just unwind and escape real life for a little while. 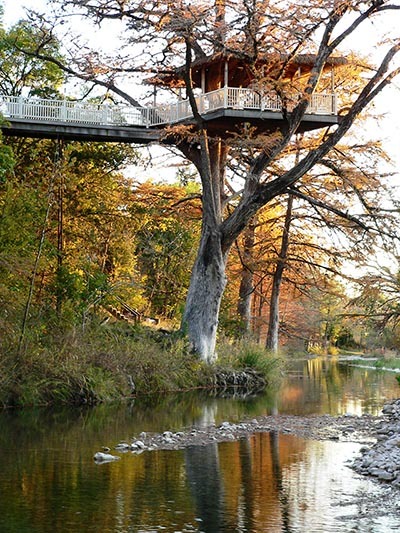 This cute little treehouse actually serves as a spa at this beautiful central Texas retreat. 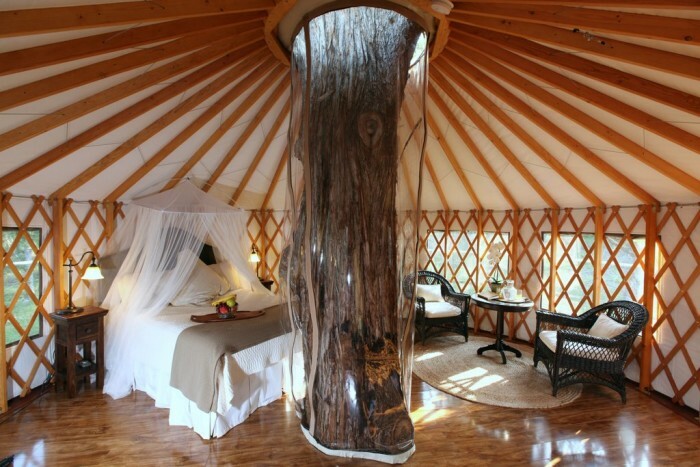 Talk about some serious R&R...I would book a trip here in a heartbeat! 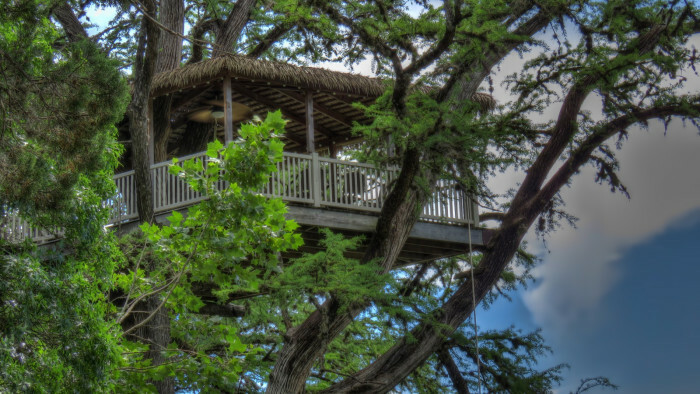 Do you know of any other ridiculously cool treehouses I should add to the list?